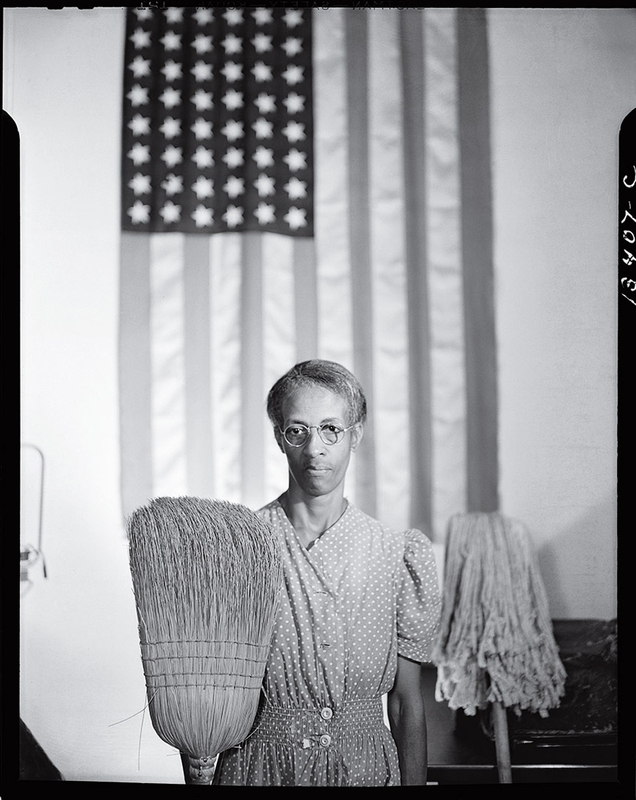 The first time Boston hip-hop artist Billy Dean Thomas saw Gordon Parks’ black-and-white photograph called “American Gothic,” featuring a black janitor standing in front of an American flag with mop and broom in hand, Thomas wrote an entire song inspired by the image. “That image of the older black woman was really powerful to me … [I wrote the song] just to kind of feel what she was feeling,” Thomas recently told me at a Jamaica Plain café. The woman in the 1942 photograph, Ella Watson, worked as a janitor for the Farm Security Administration in Washington D.C. The photograph stands in dialogue with — or as a refutation to — the original 1930 “American Gothic” painting by artist Grant Wood. 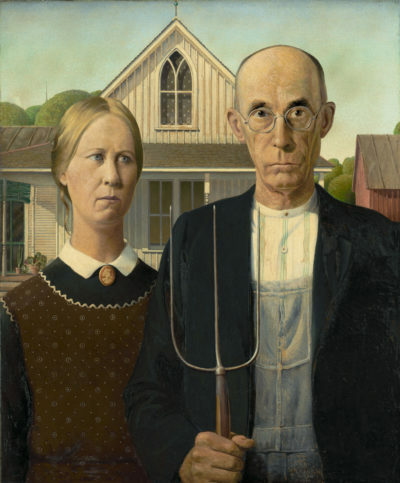 According to Wood, the people in his iconic painting “American Gothic” are the kind of people he “fancied should live in that house.” It’s no wonder the painting — a stern couple in front of their ordinary home and welcoming porch — occupies such a celebrated space in the American art vernacular. There’s a certain familiarity in the modesty of the scene. The sun shines just right on the simple details: a homely curtain hung on a window, terracotta pots with plants on that porch. The approachable quality of the home juxtaposes with the sternness, the utter unfriendly semblance of its inhabitants, who appear dour and guarded. The perceived meaning of “American Gothic” has evolved over the years from a satire of provincialism to a lionizing of solemn fortitude. But from its very beginning, the original “American Gothic” has also been defined by its portrayal of that attainable home, a reachable corner of the country to make one's own. This is an attainability many people of color have always known excludes them, something Parks interrogates with his “American Gothic," replacing the landowner's tool with the tools of someone cleaning a bureaucratic office. There's no house behind Watson, only an American flag, a symbol of an empty promise. In essence, Thomas seeks to redefine what “American Gothic” means now. 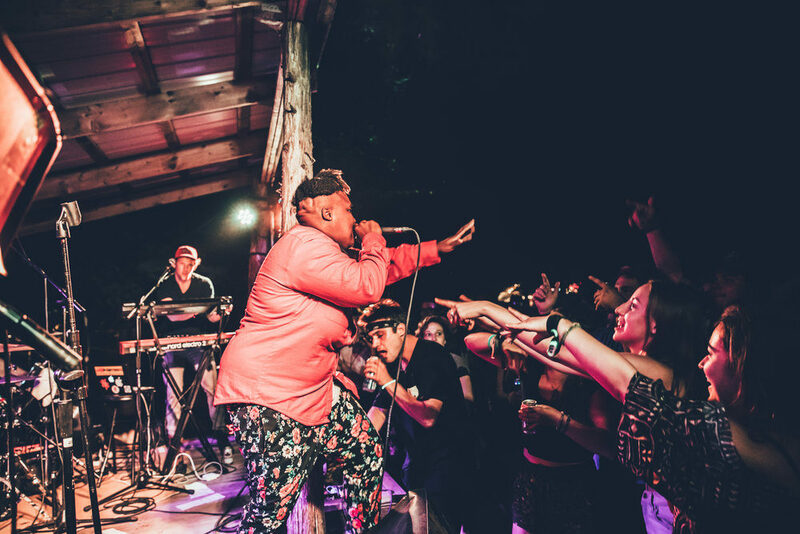 Recently nominated for a New Artist of the Year award by the Boston Music Awards, Thomas exists withing a growing cohort of young hip-hop artists whose body of work at once redefines the confines of the genre, while also addressing issues of race and feminism. 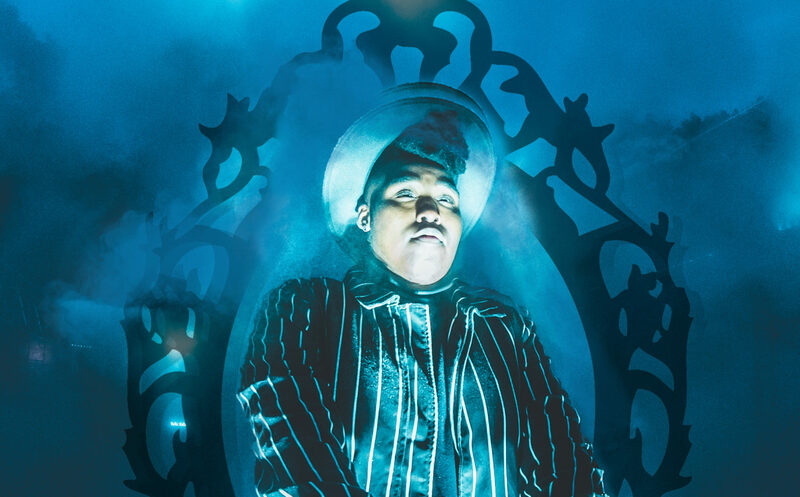 Although the primary inspiration for this performance is the Parks photo, Thomas is well aware that many might attend the performance thinking of the word “goth,” with all its dark post-punk connotations. That’s why they’re encouraging the audience to wear all-black, and to show up ready to have their expectations shattered. “I want folks to come to in with what they think it means, and be surprised,” Thomas said. The "Live @ Oberon" series allows Thomas to delve deep into their artistry by exploring a thematic performance and a conceptual framework for their work. “All in all I think it’s my opportunity to showcase how far I can push my bounds. People think I’m a hip-hop artist … OK yeah, I’m a hip-hop artist and I’m also something else,” Thomas said. They reference artists like Donald Glover, who take on multiple roles with “rapper” just being one of the many things they’re known for. “Society has created an idea of what a hip-hop artist is and what a hip-hop artist is supposed to do,” Thomas said. 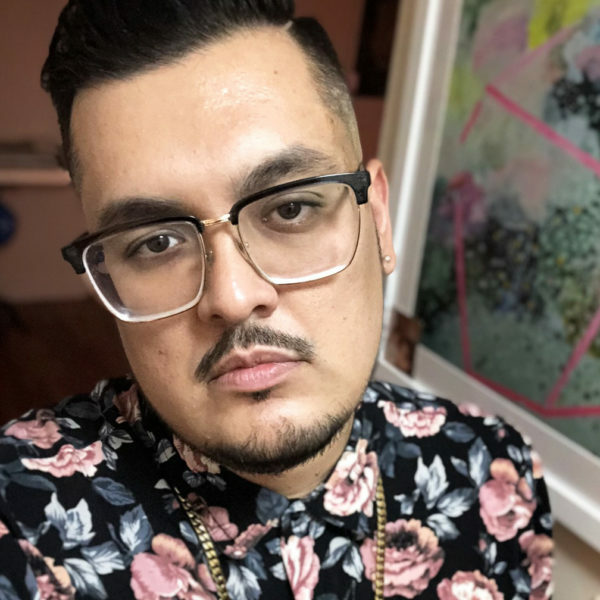 At Oberon, Thomas plans to show the many roles one creative, non-binary, black artist can do in a white “American Gothic” world. Billy Dean Thomas’ "American Gothic!" at Oberon will take place on Friday, Nov. 2 at 10 p.m.